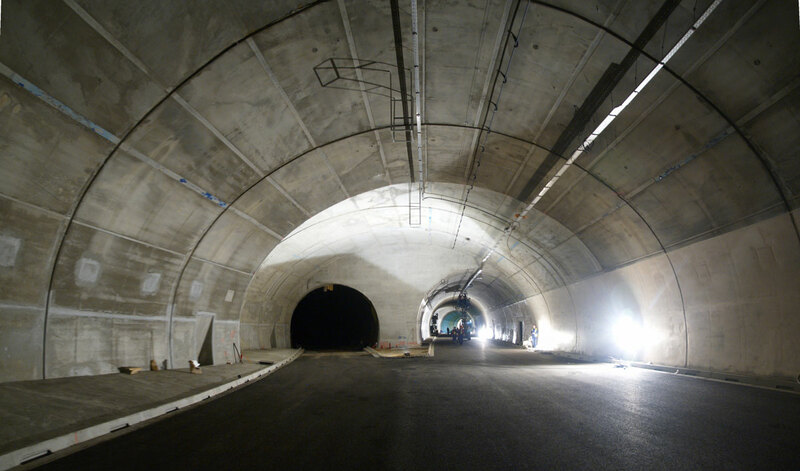 The Šentvid tunnel represents the main part of the newly designed road section Šentvid–Koseze in Ljubljana, which will form the connection link between the south west and north east part of Slovenia. 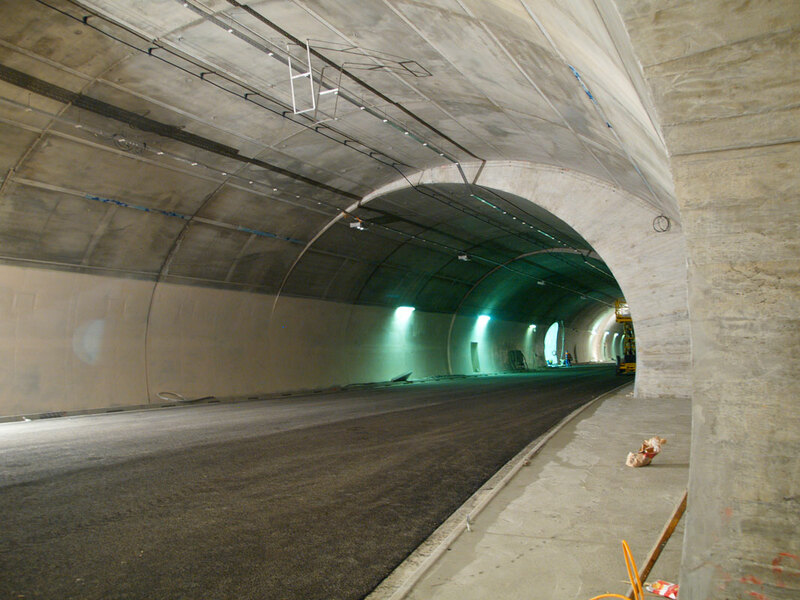 On relatively short section the motorway A2 Karavanke–Obrežje the tunnel runs in the three separate structures (the existing gallery, new cut and cover and the mined tunnel), all together representing the Šentvid tunnel. 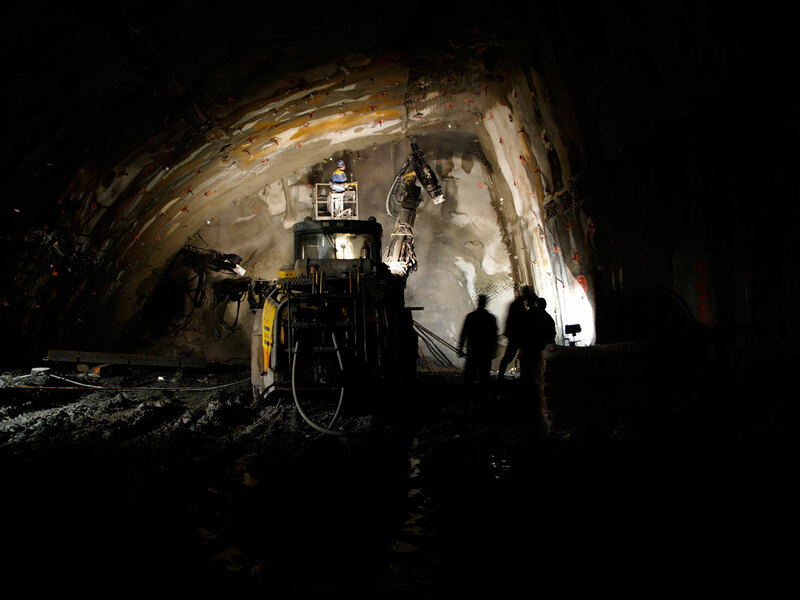 The sum of both main tubes is 1,480 m, and represents the most demanding project in the region. 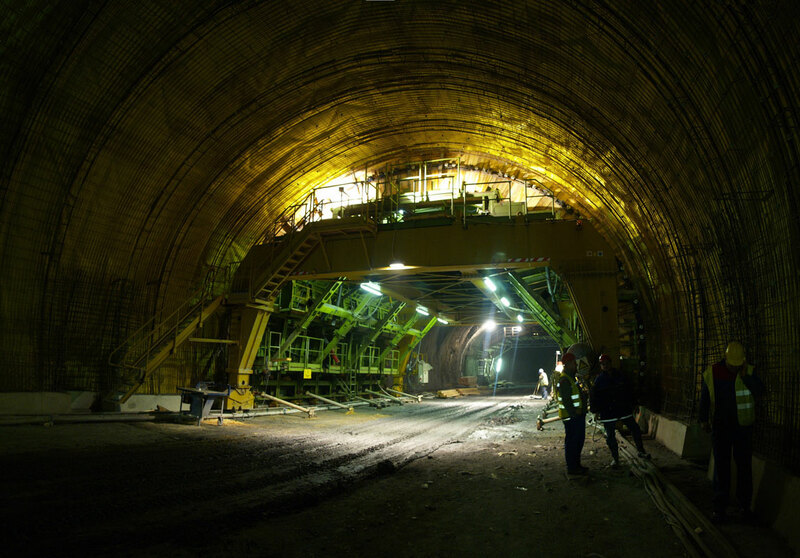 The first part of the tunnel from the foothill of Šentvid hill in total length of 420, (250 m of existing gallery + 170 m of the new cut and cover) has been executed in at the end of 2004. 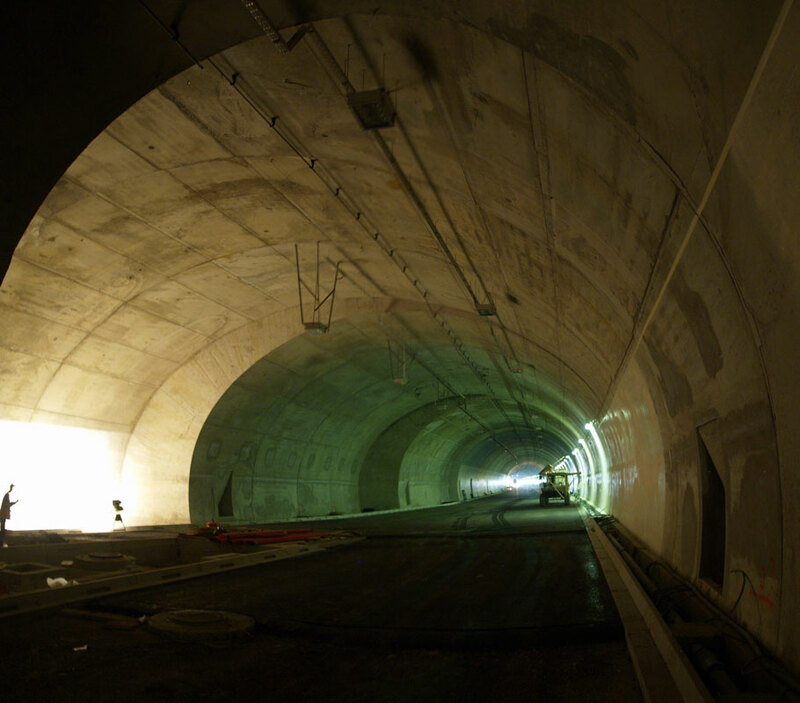 The mined tunnel with the joining cavern, which will enables the connection of the Celovška street to the motorway will be completed till the end of 2007. 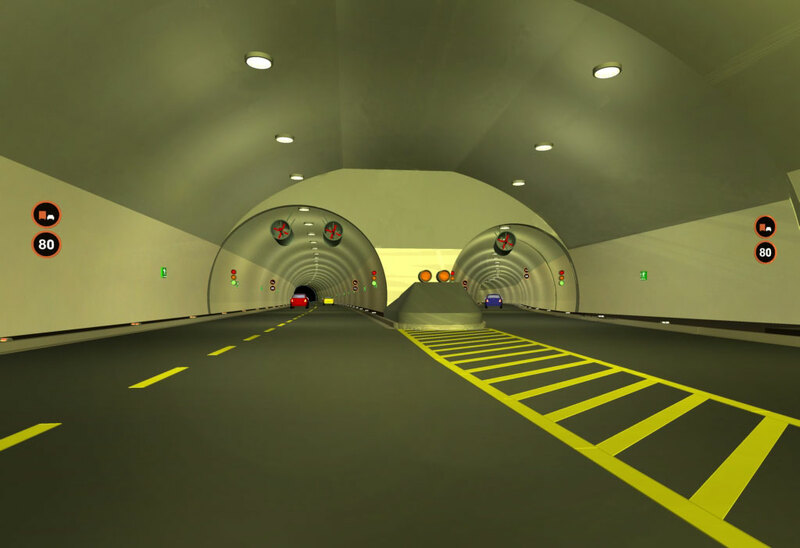 The first part of the tunnel is two lane, after the connection of the additional ramps the tunnel expands into three lane tube. 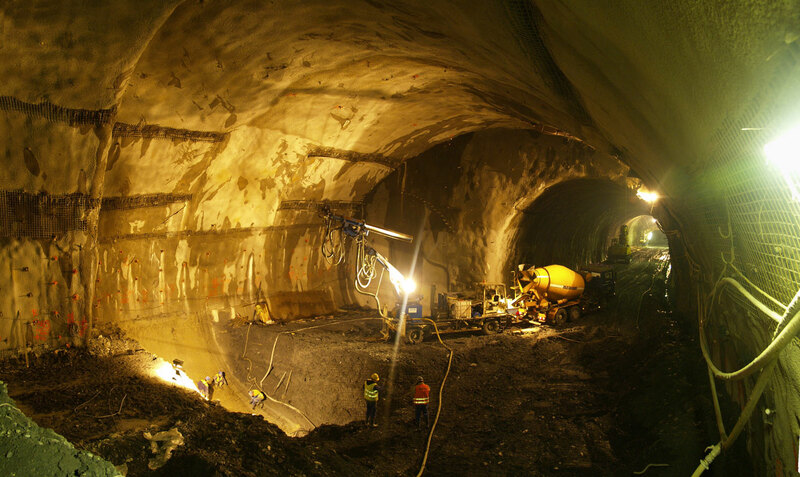 Along the cavern with the excavation profile of 360 m² in the extremely demanding rockmass, the tunnel designing and construction offers a great challenge also at the construction of other one lane, two lane and three lane tubes. The accumulated length of all tubes is approximately 3,600 m.
Elea iC has gained the project in the joint venture project with the road alignment designer. 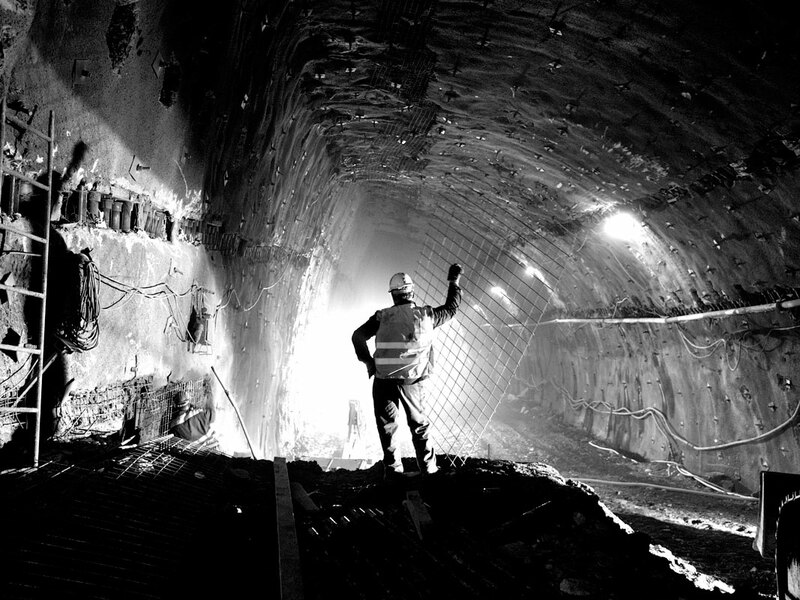 The whole spectrum of services from the additional geologic researches till the project for building permit till the tender design documentation for a whole tunnel, including the excavation, civil works, tunnel equipment and functional structures os included in our contract. We were also awarded by the contractor the execution designs, engineering survey, geotechnical accompaniment of the movements. 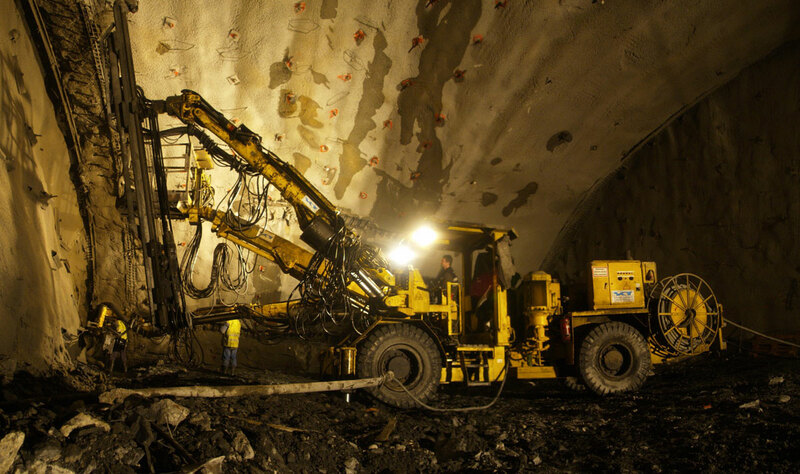 Geological and geotechnical surveys and modeling, along with geotechnical deformation evaluation and supervision is also the part of our tasks during the construction. Project typeMotorway tunnelLocationLjubljana, SloveniaInv. value€120,000,000.00Year(s)2003–2010ServicesGeological and geotechnical survey, building permit design, tender design, execution design, electro mechanical and other installation, architecture, landscape architecture design…InvestorDARS d.d.